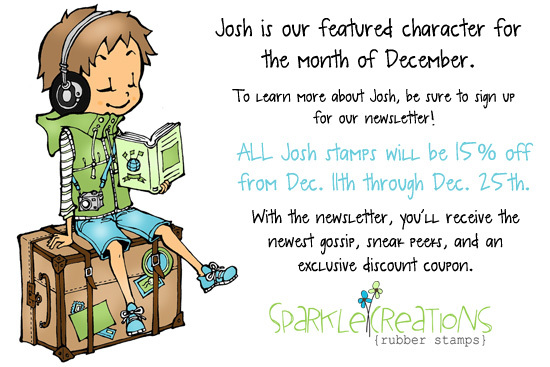 Hello and Welcome to Day 1 (of 3) previews for the December release for Sparkle Creations Rubber Stamps! Sparkle is releasing 2 new SCRS images and 1 new Karber clear set this Saturday! 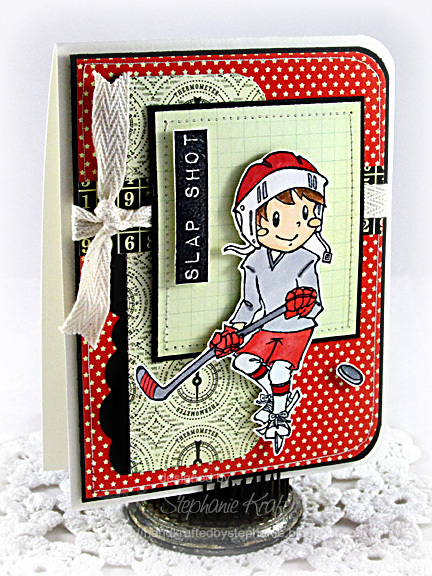 Today we are previewing a new SCRS image, Hockey Oliver and sentiment, "SLAP SHOT"! I paired Oliver with the Pink Paislee Hometown Summer collection. I was looking for some star patterned paper and found the red one that I used as a background (though it might look like polka dots, they are actually tiny stars). Even though the collection definitely has a summer theme, I was able to use a few of the patterns for my hockey card. 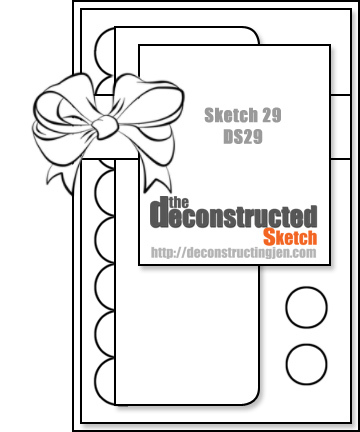 I never got a chance to play with Jen's Deconstructed Sketch from last week when it was sponsored by Sparkle Creations, but I had saved the sketch and used it today. I'm too late with it as a new one is coming out, but I still wanted to play with the fun layout. Be sure to visit all rest of the SCRS designers for more peeks of Hockey Oliver. Sparkle will be giving away a Hockey Oliver to one lucky person! For a chance to win, you need to comment on all of the designer's blogs (list below). Then head on over to the and comment on the Oliver post. You have until midnight EST each day to comment. The lucky winner will be announced the following day! Accessories: Die-namics Wonky Scallop Border (My Favorite Things), Corner Chomper (WRMK), Markers (Copic), Natural Twill, Foam tape, Thread, Sewing machine. Such a darling card! I love the red, white, and black combo for this! WOW! Great take on that sketch Steph and just lvoe those papers! Fun and beautiful Stephanie!!! Love the mix of patterned papers! Your fussy cutting is INCREDIBLE! 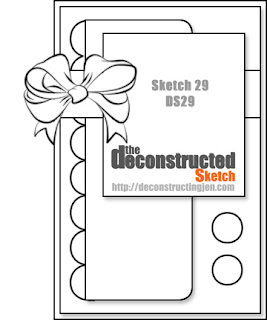 great card love the sketch you used. Great card...I love how the puck looks like to in mid air! love the colors you used. fabulous card, Steph! I love your interpretation of the sketch, Stephanie. Your colour combo is also fab and works so well with Oliver. Such a really great card! I love that color combo...just beautiful. What a cute card! and Oliver is such a handsome hockey player! Love the papers you used too! Great card. The dynamic color scheme is perfect for hockey. Great card. love the layout!! Adorable card Stephanie! Great mix of patterned papers!